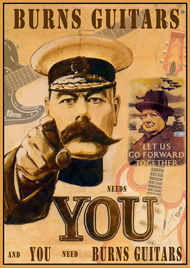 The United Kingdom had it own Leo Fender, it was James Burns... England’s most famous and prolific Guitar Designer & Bulider. 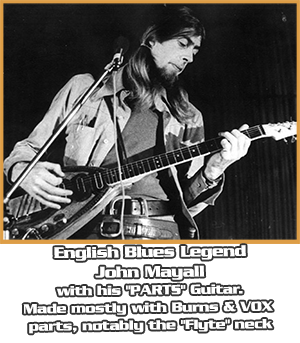 Burns began building guitars in the early 60's and before long... his innovative designs were being used by many of the most influential musicians of the day including Elvis Presley, The Beatles, Marc Bolan, Jimmy Page, Mark Knopfler, Tom Petty and Dave Hill... to name but a few. 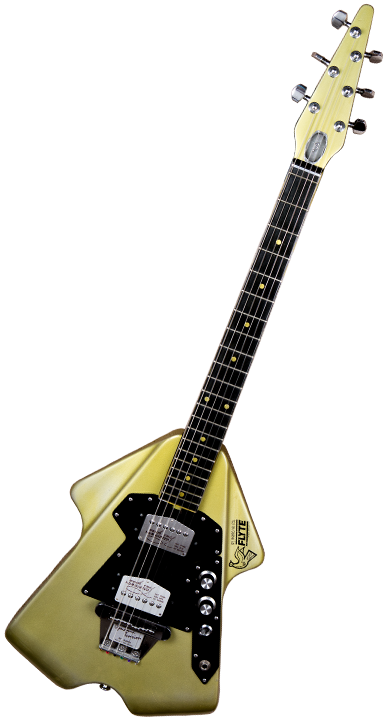 Jim Burns designs were always ahead of their time and many of his ideas have now become standard with many of today's guitar makers. 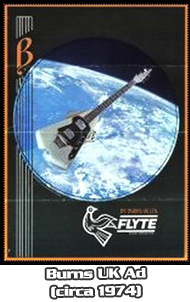 This Burns Flyte model appeared in 1974 and lasted until late 1977. 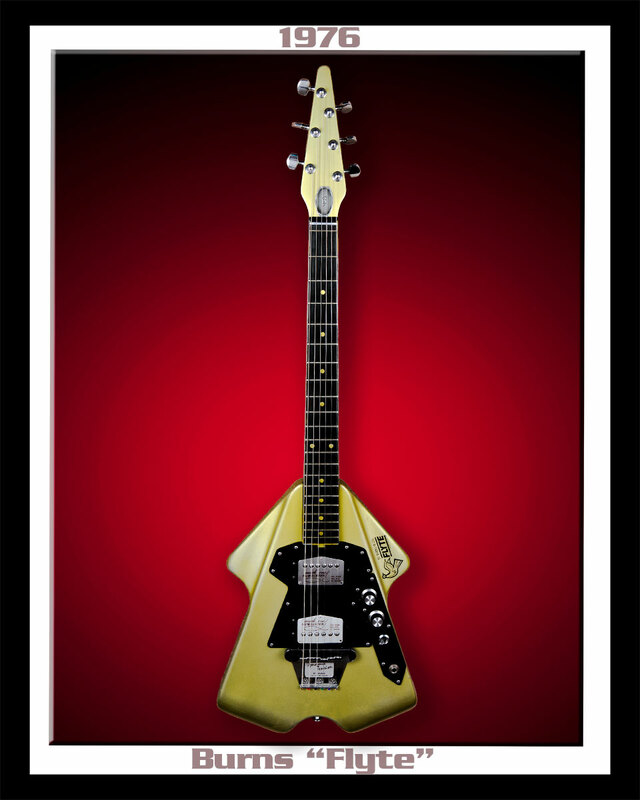 The Flyte, was originally to be named the Conchorde after the supersonic aircraft, because of its unconventional shape. 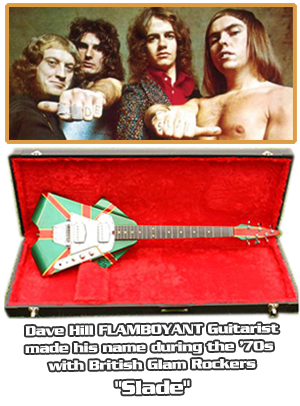 This Flyte model was heavily promoted at the time as apart of the English Glam Rock scene. 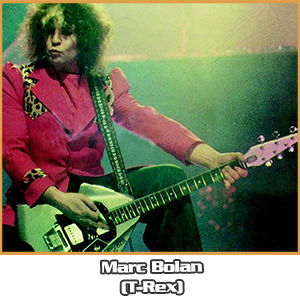 The design proved to be very popular among notables such as... Marc Bolan (T-Rex) and Dave Hill (Slade). 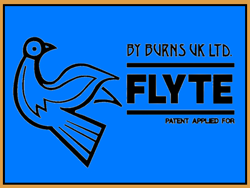 Unlike other Burns models, the Flyte had that midrange snarl heard in the classic "Telegram Sam" by T. REX. 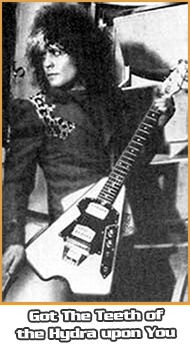 It also had that expansive blast-of-anger delivered in "Gudbuy T' Jane" by SLADE.